Eagle Light was vital to ships navigating the tricky Strawberry Channel. Using is here, I wanted to convey something of an ordinary moment in the life of a light keepers family. The son, just home from school, welcomes Mother carrying groceries, while his Light Keeper father, having already lighted the great Fresnel lamp, can now close the house shutters against the rising fury of an early winter storm. 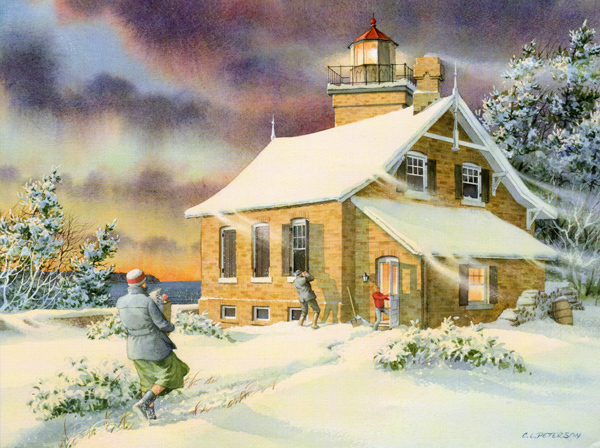 "Thursday At Eagle Light: Early Snow"